Defender joins the Firhill side after time in Belgium with Lierse. Partick Thistle have completed the signing of defender Frederic Frans on a short-term deal. Frans, 25, is a free agent after ending his spell with Lierse in the summer. 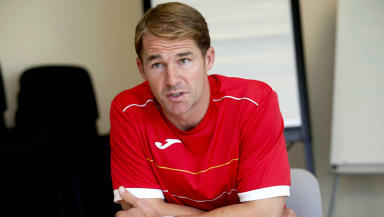 The defender has signed a contract until January with Alan Archibald's team. Having represented his country at various youth levels, Frans played with former Celtic player Tony Watt in Belgium last season. Partick Thistle sit seventh in the Scottish Premiership table with 10 points from eight matches.